We had a very blessed week. Bro. Martin and the four children were able to get some much needed projects done around the house there in Texas as well as spend time with some of the family. On Saturday around noon, we had a Martin side family reunion/Christmas gathering. It was good to be with some of the family that we rarely get to see except for special occasions such as this. Bro. Martin ministered at Chelsea, OK on Sunday morning and in Bristow, OK in the evening service. 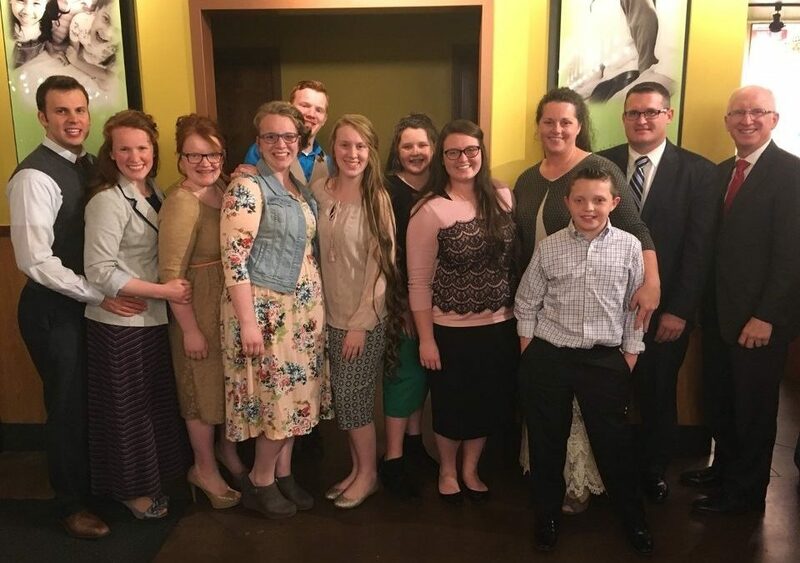 It was a treat to have the family stay with Derek and I and we were privileged to be with them in service on Sunday night. The Presence of God was so real as Bro. Martin shared many of the stories we have communicated here on the website in our weekly updates. We praise the Lord for the tremendous response in the altars. Bro. Martin received a text message on Sunday evening from the minister that has taken care of Hope Church for the past two Sundays. He said, “Hello Pastor James, We had another good meeting today - 50+ folks. Praise and worship led by Will*. A team led by Ben* fed the meal again today. I believe we’re keeping the fire of the Holy Spirit burning until you return. Look forward to talking to you this week.” We are so thankful to hear how the Lord is working in these precious hearts. We know one thing for sure - Jesus loves them! We trust you have a wonderful week leading up to Thanksgiving Day. Happy Thanksgiving!